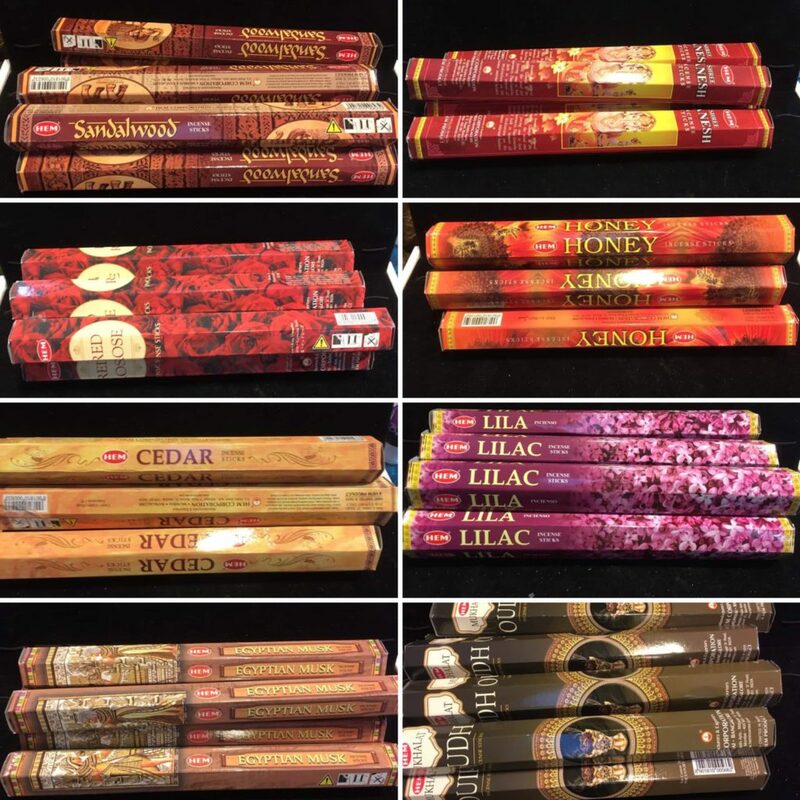 Incense Shipment came in at the Shop!!! 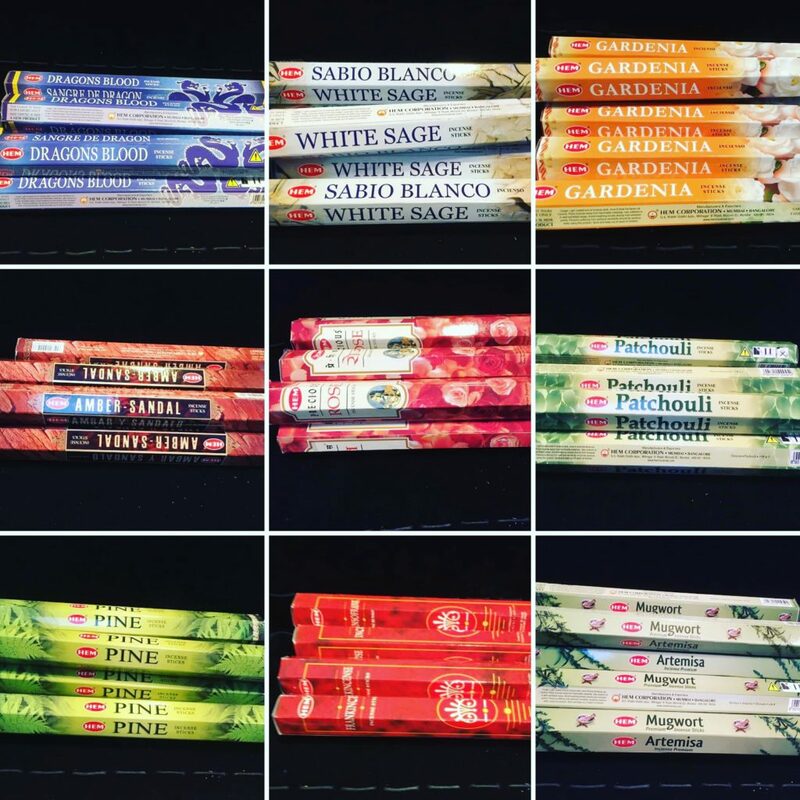 We have restocked our #incense at #desmoinesnewageshop !!!! 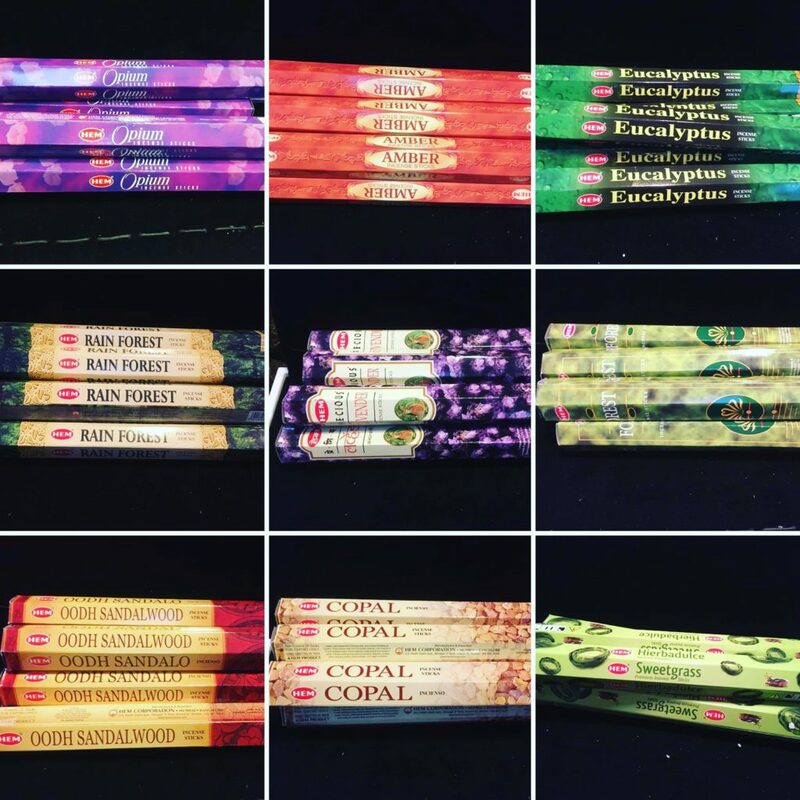 We have some classics and some new scents! 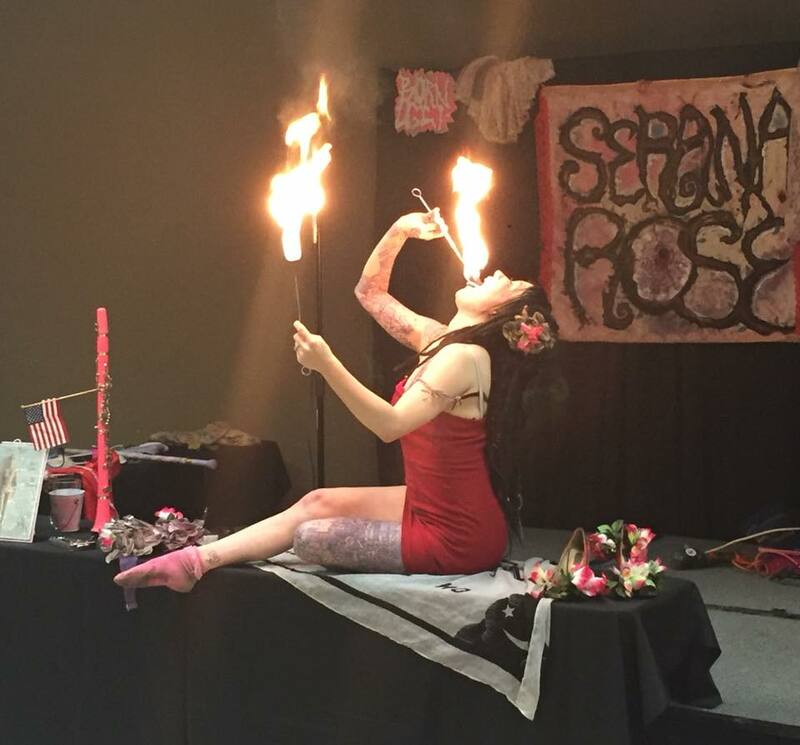 Exciting new Performers for the Des Moines New Age & Psychic Fair coming up Next weekend (March 23rd & 24th)!!! We have a groovy set of Entertainers coming up at the Des Moines New Age & Psychic Fair next weekend (March 23rd & 24th) out at the Iowa State Fairgrounds (at the Paul R Knapp learning center)!!!!! 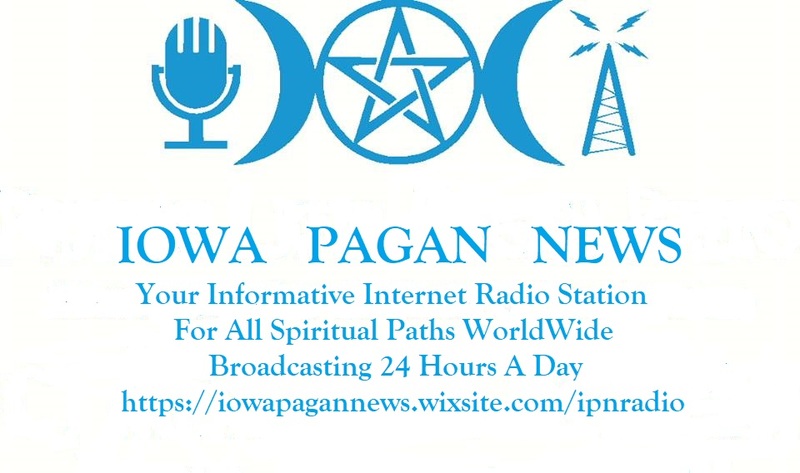 We will also have Iowa Pagan News reporting LIVE from the Fair all weekend!!!! 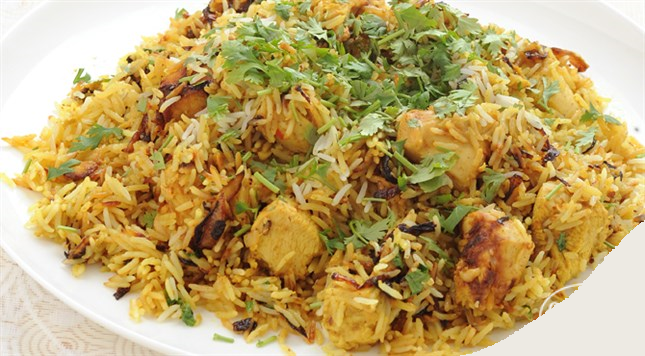 Annnnnnnnnnnnnnnnnnnnd we have Andalusia Catering as our food Vendor!!!!! Oh my goodness, they make AMAZING FOOD!!!!!!! We are vending at Anime Recharge today(Shop is open too)!!!!! If you are dig #anime ,we are vending at Anime Recharge today down at the Olmsted Center, the event also has a Facebook, if you are curious! Pics attached of the game of Tetris applied to vendor setup! Come out and check out the event! Btw, The #desmoinesnewageshop itself will be open for business as well during the normal shop hours of 12-5pm! 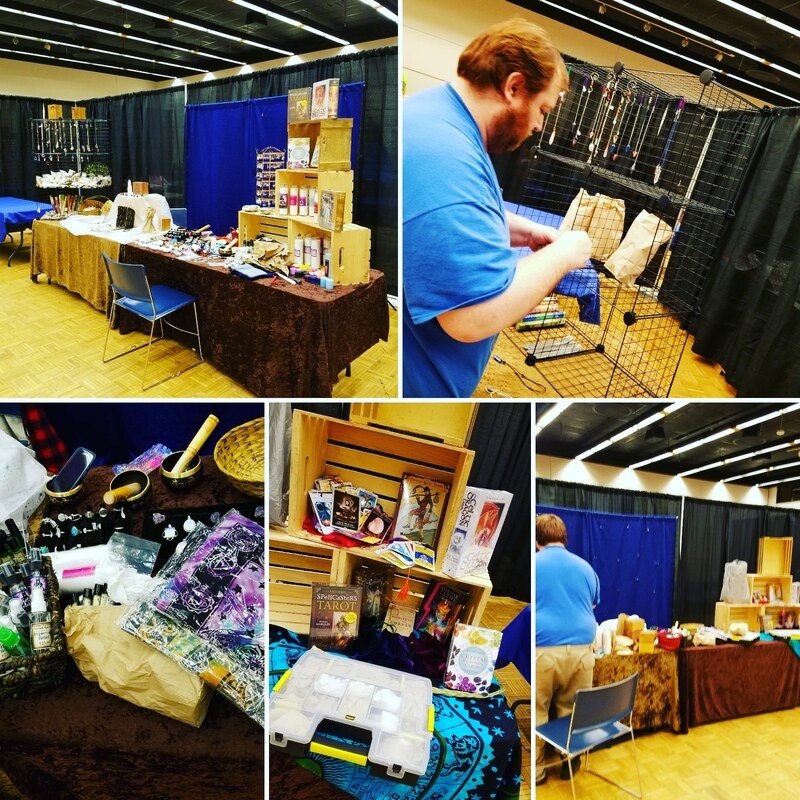 New Merchant Interview for Des Moines New Age & Psychic Fair: Junk N More!!!! 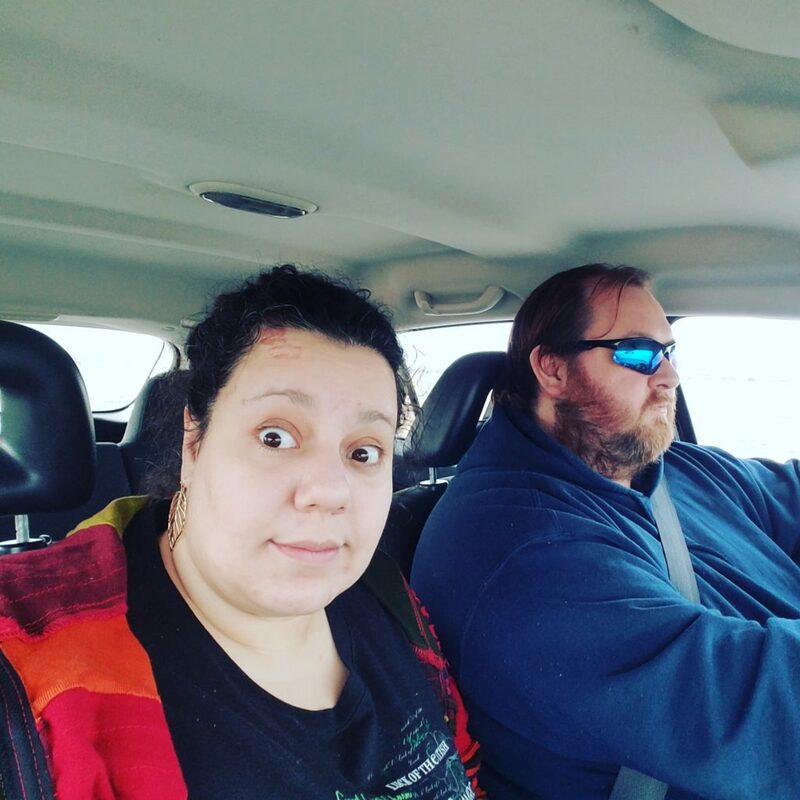 New Reader Interview for the Des Moines New Age & Psychic Fair: Denise Vasquez!!!!!! We are sitting down today with Clear Visions’ Denise Vasquez- Psychic Medium, Healer, Teacher, to discuss why she does what she does, and why she loves it! She also teaches Palmistry, Cartomancy, Psychic Gifts, and more!!! New Joy Jewelry at the Shop!!! 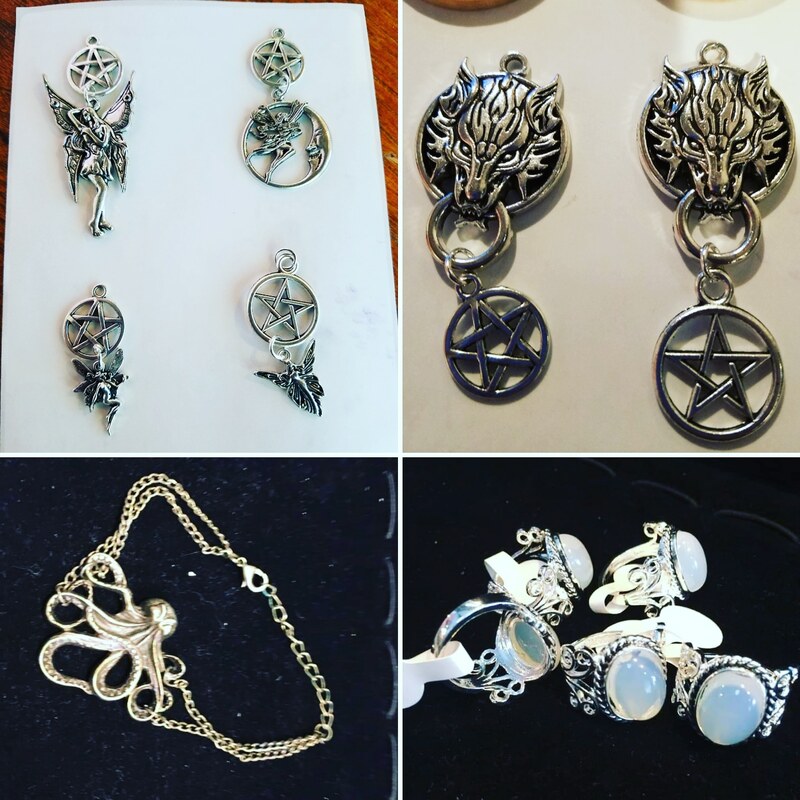 New Joy jewelry at #desmoinesnewageshop !! And now they are available at the Shop!! Also we have some lovely #opalite rings and some #octopus charm bracelets!! 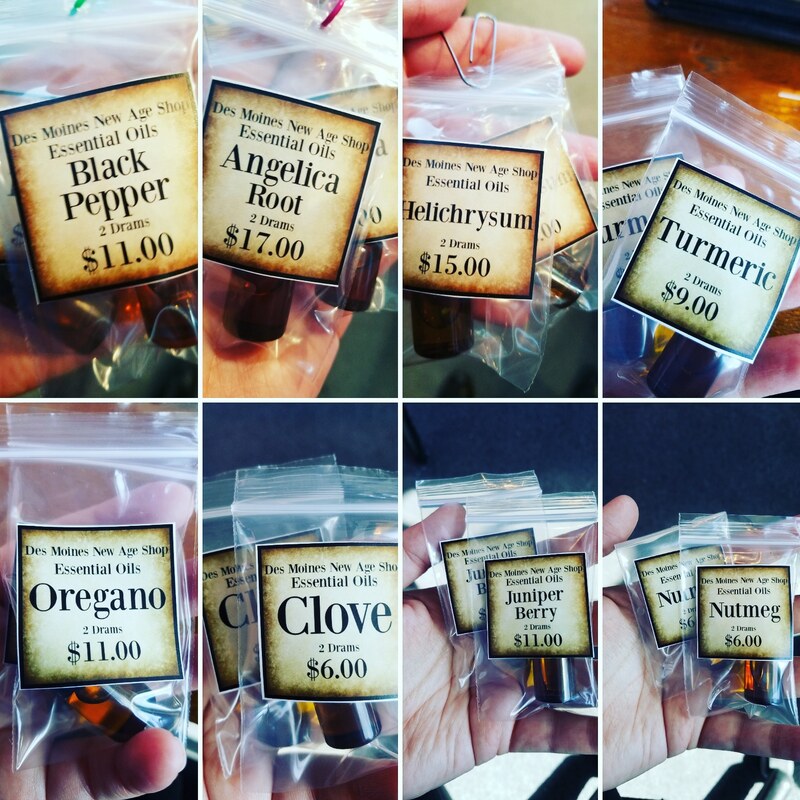 Never before at the Shop Essential oils!!!! 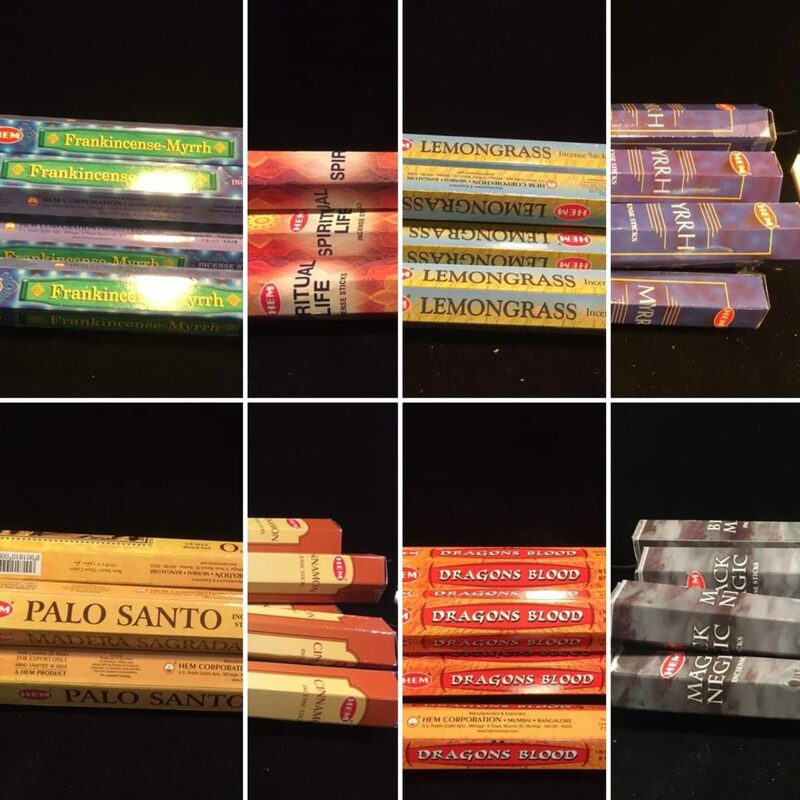 We are introducing 7 new to #desmoinesnewageshop Essential Oils this week!! !